Many retailers could turn their operations into higher profits, if they do a better job of utilizing their customers’ data according to a study. That includes adequately learning insights by better engaging their employees who deal with customers on a regular basis. “Leading retailers encourage measurement of the right data, invest in the skills to gain insights from that data, and use those insights effectively to frame future actions,” says Joel Alden, an A.T. Kearney partner, regarding the 2013 study by his company (atkearney.com). — Leading retailers are much better than others at collecting data, measuring activities, acting on their insights, and measuring again to see the results. — Retailers that most actively engaged their employees and customers were the most successful. — Retailers often weren’t managing the multichannel environment. In this new environment, customers will often return products to a store that they ordered online, or ask a store employee to order an out of stock item through another channel. When employees are not measured on the success of non-store channels, they have little incentive to encourage the growth of those channels. — Retail field managers are spending too much time on administration and not enough time in the field. Interestingly, few retailers take full advantage of employee insights – employees interact with customers all day long, gaining valuable insights into customer needs. “The problem today is a lack of formal requirements or processes to gather these employee insights. Leading retailers create formal pipelines that capture and use these insights,” says Adam Pressman, A.T. Kearney principal and a study co-author. “With all of the moving parts, retail leaders dedicate resources to effectively drive and manage change,” says Dean Hillier, A.T. Kearney partner and study co-author. “This includes focused and measured pilot efforts, tailored communications and communication channels based on messages and employee groups, and a focus on continuous improvement, not just one-and-done mandates,” Mr. Hillier adds. Retailers that most actively engaged their employees and customers were the most successful. The authors also suggested retailers would be better served by taking advantage social network data from third party domains. Apparently less than 50 percent of retailers do, and only 8 percent understand its importance. So they underscore the importance of leveraging social media, but the core principles remain: People, customers, and physical store layouts. With more than 100 questions, the survey probes the strategy, tactics and execution of retailers in more than 20 countries. 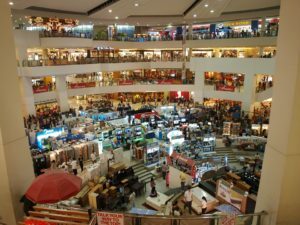 It covers multiple sectors, including apparel, health and personal care, mass-market and hypermarket, electronics, food and grocer, and cash and carry. Why Your Customers Stay or Leave – Insights from Study — Despite all the emphasis on speed in customer service, it’s not the salient factor in keeping customers happy. A study confirms that the power of emotion is most important, according to a report in QSRweb.com. Research – Are You Making the Same Mistake as Big Box Retailers? — A high percentage of customer engagement is a valuable objective, and should be the goal of every manager and employees who deal with customers. But how many times has a retail employee asked you: “Did you find everything OK?” Your answer: “No.” Then promptly, the employee fails to do something about it. It takes less effort to keep an old customer satisfied than to get a new customer interested.